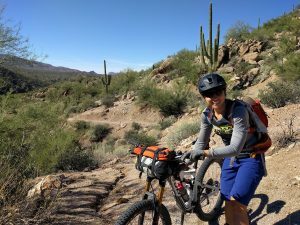 Home Exercise and Fitness Cycling Antioxidants and Training: Friend or Faux? What is the first thing that pops into your mind when you think about antioxidants? Probably something along the lines of… beneficial, healthy and great for longevity. These powerful little protectors of cellular structure and function play an important role in physical well-being, especially when obtained naturally from foods such as berries and avocado. Now, ask yourself the following question: “If I consume a healthy diet, are additional micronutrient supplements necessary?” truPhys has answered this question before, and it’s a controversially-supported “No.” Are you surprised? 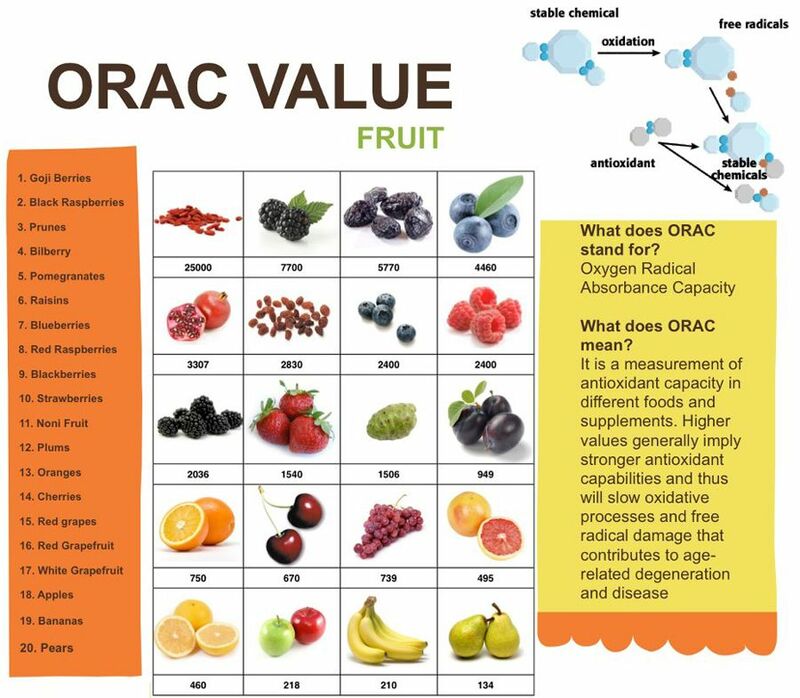 In short, antioxidants are molecular compounds that protect your cells and DNA from damage caused by reactive oxygen species (ROS) and free radicals. ROS and free radicals are atoms or compounds with a missing electron, an attribute that causes them to be highly reactive. To stabilize, they “steal” electrons from lipids in cell membranes, amino acids and DNA, impairing the proper function of the donor molecule and further launching a domino effect of electron theft. Cumulative oxidative damage is the cause of a multitude of illnesses and aging, including Parkinson’s disease and rheumatoid arthritis. Antioxidants combat the destruction by donating electrons to ROS and free radicals, or converting them to less damaging substances. The protective mechanisms associated with antioxidants aid in the prevention of cancer and avert the onset of age-related diseases such as cardiovascular disease and dementia. Most antioxidants can be broken down into three major categories based on mechanism of action: vitamins, minerals/enzyme systems, and phytochemicals. For clarification, not all micronutrients are antioxidants. For example, calcium, magnesium, and vitamins D and K are not antioxidants. How training benefits from ROS production. For the 16 voters who said the do take supplemental antioxidants, we also asked them to list what type of antioxidants they take (a list of examples was provided). We found that vitamin C was consumed the most, followed by a “multivitamin” and various B vitamins. The results indicate more than one-third of exercisers believe that taking antioxidants will help their training. Your body runs on an efficient network of signals. A simple example: if you eat a bag of Sour Patch Kids, you will have a rapid rise in blood glucose. In response, your pancreas produces and releases insulin. Skeletal muscles, fat and the liver respond to the insulin signal by increasing glucose uptake into their cells. Once uptake begins, blood glucose levels decrease, which further signals the pancreas to stop releasing insulin. 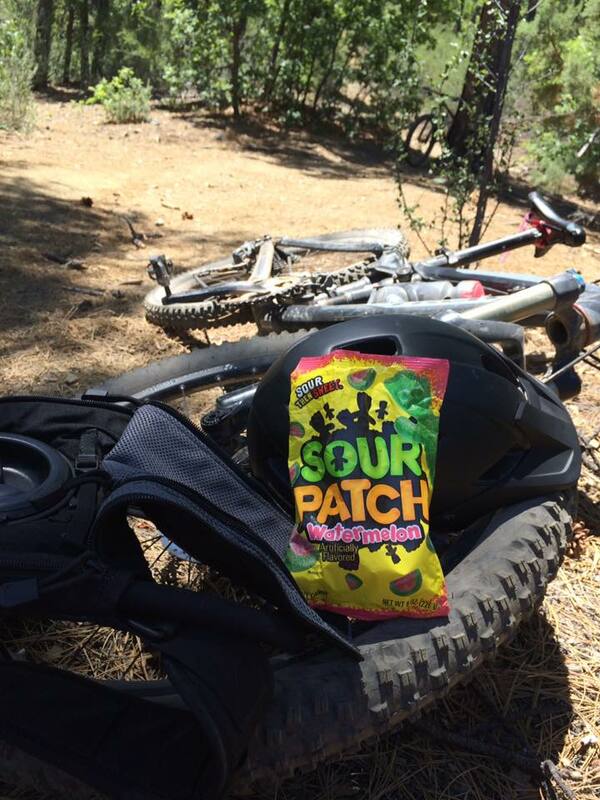 Sour patch kids… not a reliable source of antioxidants, but that’s ok! Adaptations to training work in a similar way. One major mechanism specifically involves ROS and free radicals. Exercise is a physical stress that produces ROS as a byproduct. Exercise requires an increased amount of fuel (i.e. fat and carbohydrates) for you to do work (run, cycle, lift weight). These fuels are used to create adenosine triphosphate (ATP). This important molecule contains the chemical energy your muscles use to contract. The aerobic part of ATP synthesis (called oxidative phosphorylation) is completed within the mitochondria, which ironically is a major site of ROS production. In fact, according to Mari-Carmen Gomez-Cabrera, PhD, approximately 0.5% of the oxygen you use during exercise is converted into free radicals. When the intensity or length of exercise is increased, the demand for ATP increases as well, and the more ROS you produce in response (although a limit does exist). For a mostly good reason, ROS have an inherently negative reputation (no pun intended), especially when high amounts are generated through chronic strenuous exercise/overtraining, or if an individual has some type of mitochondrial dysfunction or disease. However, they are absolutely necessary for training adaptation – they are a signal. As your mitochondria produce ROS in response to exercise, a cascade of chemical responses results. ROS produced during exercise stimulate the AMPK-PGC-1α pathway, signaling your body to produce more mitochondria (the powerhouse of the cell). PGC-1α, a genetic transcriptional factor, is released in response to several stresses, including exposure to the cold, oxidative stress, fasting, and muscular contraction. Researchers Shane Austin and Julie St-Pierre, McGill University in Montreal, Canada, explain the cascade well in a 2012 paper they wrote on PGC-1 and its regulation of mitochondrial metabolism. Simply put, “PGC-1α increases the expression of the nuclear respiratory factors (NRFs), which are transcription factors that regulate the expression of numerous mitochondrial genes,” according to Austin. When activated, these genes modify the mitochondria by upregulating several enzyme systems within the organelle, and increasing the overall number of mitochondria within skeletal muscle. This process must happen for mitochondrial mass to increase in skeletal muscle, which translates to an increase in aerobic capacity (it makes sense that four mitochondria can do twice the work of two). The more often you train (not overtrain), the more mitochondria you produce in response. This is how endurance increases, giving you the ability to run farther, ride longer, and recover more quickly. In opposition, supplemental antioxidants block the ROS signal. Sure, the amount of ROS must be controlled so detrimental damage does not occur, but your body does this intrinsically and is more than well-equipped to do so (explained later). Even the mainstream media are catching on, with articles in the New York Times and BBC reporting the supportive science. 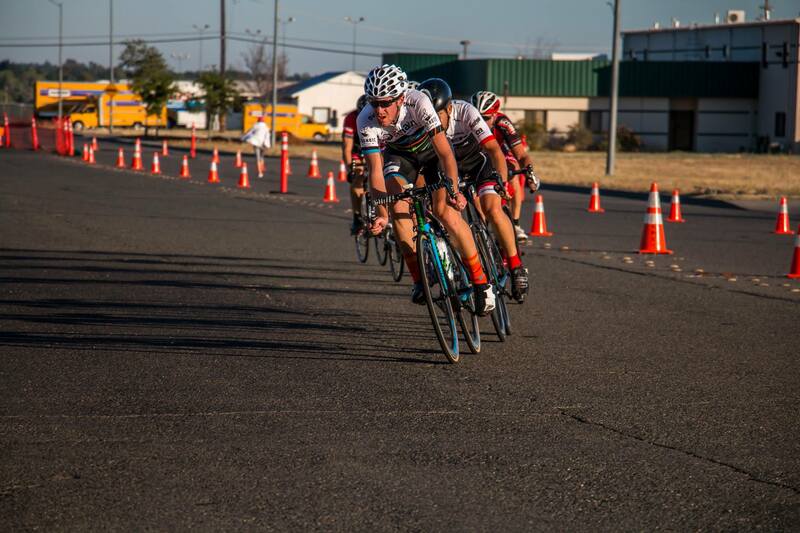 Ryan Oakes, a Cat 1 cyclist for the AMain Cycling Team, racing the Chico Airport Criterium series, 2016. Supplemental antioxidants probably won’t benefit your performance. Another study completed in 2008 by Gomez-Cabrera and her team in Spain found that supplementation with 1g of vitamin C decreases improvements in VO2max. The double-blind, randomized trail was two part. First, they analyzed 14 male runners given 1 g of supplemental vitamin C per day for 8 weeks. The increase in VO2max was 12% less in the group that received vitamin C (10% total increase from baseline) compared to the group that did not receive supplementation (22% total increase). They also trained 24 rats for 6 weeks, running them daily until exhaustion (100 minutes, baseline). They found that vitamin C supplementation significantly decreased the post-training gains in endurance: the rats without supplementation were able to run 300 minutes after 6 weeks; the rats given vitamin C, after the same training period, were only able to run 120 minutes. In 2014, researchers from the Norwegian School of Sport Sciences in Oslo, conducted a double-blind randomized trail investigating the effects of vitamin C and E on adaptations to 11 weeks of endurance training in 54 men and women. Markers associated with mitochondrial biogenesis (MAP kinase) were significantly lowers in the groups given the antioxidants compared to those given a placebo. In addition, significantly higher increases in COX4 and PGC-1α were seen in the placebo group, indicating a higher rate of muscular adaptation to exercise than the group receiving supplements. 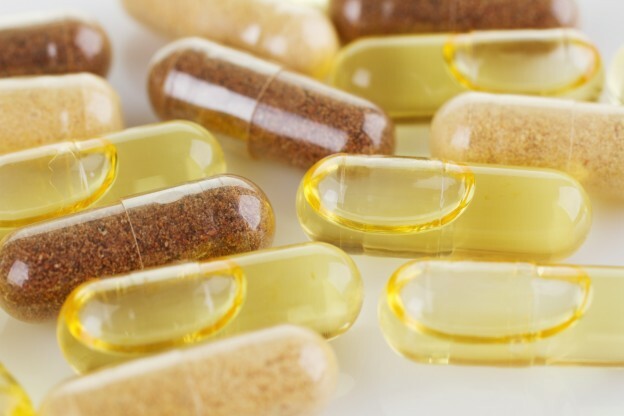 In 2015, the same team from Oslo, Norway, conducted a placebo-controlled trail in 34 elderly men, concluding that dual vitamin E and C supplementation blunted muscular adaptations to strength training. Significantly larger gains in lean muscle mass were seen in the placebo group only. Medved et al. published two papers in the Journal of Applied Physiology in 2004 on the effects of NAC on muscular fatigue and performance. Keep in mind, the sample sizes are very small (8 and 7 men, respectively), and could possibly cause statistical errors. The first double-blind study analyzed the affects of NAC on eight endurance trained men. The subjects cycled for 45 min at 71% V̇O2peak, and then to fatigue at 92% VO2peak. The subjects either received a continuous infusion of NAC before and throughout exercise, or a placebo. After muscle biopsy and blood analysis, they found a significant increase in time to fatigue when NAC was administered, most likely due to increased glutathione and cysteine availability. They published a second paper analyzing the influence of training status (via VO2peak) on NAC’s affects on time to fatigue and potassium regulation. Four endurance cyclists and four recreationally active men cycled for 45 min at 70% VO2peak and then to fatigue at 90% V̇O2peak. The researchers found a significant correlation between training status and time to fatigue during NAC administration (r = 0.78; P < 0.05), concluding that the effects of the antioxidant aid in prolonging fatigue in fitter subjects. When they analyzed overall effects of NAC, they found no affect. Keep in mind that fitter subjects are going to have adaptations that benefit them in regard to fatigue onset and the affects of NAC, such as a higher proportion of slow-twitch muscle fibers. In 2012, Peterson et al., administered NAC to athletes prior to and during 45 min of moderate-intensity (71% VO2peak) cycling exercise plus high-intensity (92% VO2peak) until fatigue, the same protocol used by Medved and his team in 2004. Via muscle biopsies, they concluded that NAC blocked some signaling pathways (including NF-κB) and gene expression necessary for adaptation to exercise. 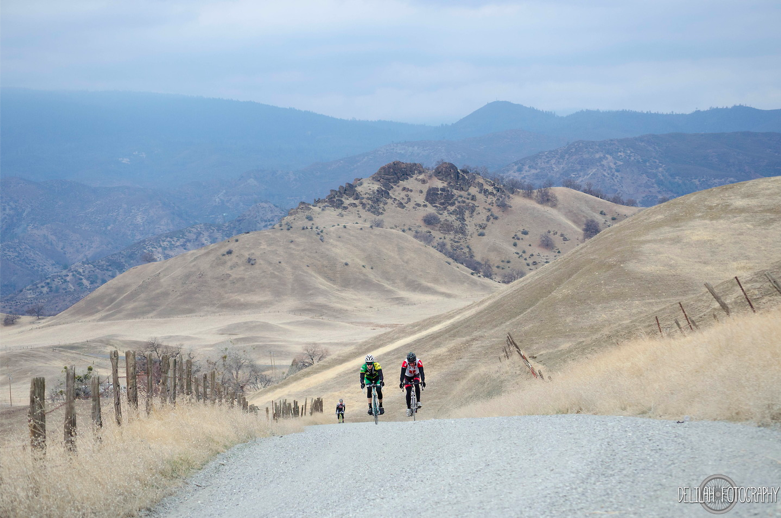 Gravel grinding during the 2015 Paskenta road race in the hills outside Chico, CA. Exercise is its own antioxidant. More support against the use of supplemental antioxidants within the training arena: ROS produced from regular exercise not only signals mitochondrial biogenesis, but also tells our body to upregulate it’s own antioxidant systems. These enzyme systems protect cells and tissues from damage while simultaneously increasing muscular aerobic capacity. To revisit the Austin paper, and in addition, a research study conducted by Dr. Gomez-Cabrera and her team, PGC-1α not only signals mitochondrial DNA to begin biogenesis (yes, the organelle has its own DNA), but also upregulates the production of endogenous antioxidants through a separate pathway (MAP kinases and NF-κB). The endstate is the production of several key antioxidant enzyme systems, including superoxide dismutase (SOD) and glutathione peroxidase (GPX). These enzymes detoxify ROS by converting them into less harmful substances, like H2O. According to Gomez-Cabrera, about 40% of the US population takes supplemental antioxidants on a regular basis. The rates are much higher within athletic populations, but for controversial reason. Your body is an amazing machine on its own. Unless you are doing repeated bouts of extremely strenuous or long, intense exercise, you’re probably wasting your money (and scientists don’t agree that they are useful here, either). 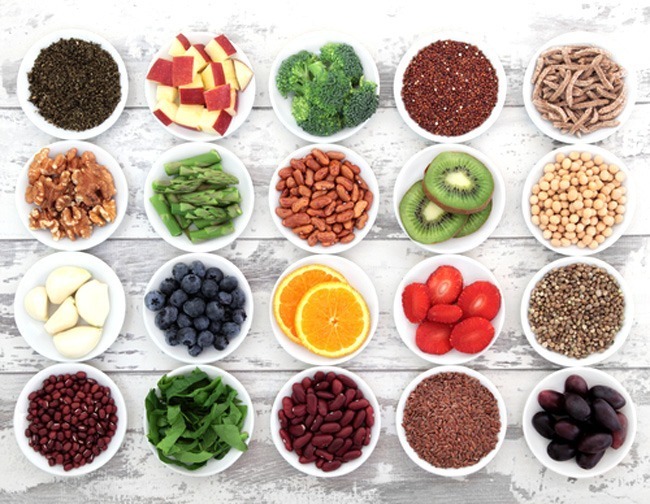 Many researchers conclude that athletic populations can obtain an adequate amount of antioxidants from antioxidant-rich foods (berries, vegetables, whole grains, legumes, beans and seeds). This way, you’re feeding the systems that battle ROS intrinsically, allowing for mitochondrial proliferation. In addition, nutrients contained in food are absorbed better and at higher rates because they are able to interact synergistically with one another, naturally. Supplements like vitamins and minerals aren’t even guaranteed to contain the biologically useful form of whatever it is you’re buying. If you train often, spend money on supplements that are actually useful, will aid in your training and recovery, and more importantly, are backed by conclusive research. Austin, S., & St-Pierre, J. (2012). PGC1α and mitochondrial metabolism–emerging concepts and relevance in ageing and neurodegenerative disorders. J Cell Sci, 125(21), 4963-4971. Bjørnsen, T., Salvesen, S., Berntsen, S., Hetlelid, K. J., Stea, T. H., Lohne‐Seiler, H., … & Haugeberg, G. (2015). Vitamin C and E supplementation blunts increases in total lean body mass in elderly men after strength training. Scandinavian journal of medicine & science in sports. Gomez-Cabrera, M. C., Domenech, E., & Viña, J. (2008). Moderate exercise is an antioxidant: upregulation of antioxidant genes by training. Free Radical Biology and Medicine, 44(2), 126-131. Gomez-Cabrera, M. C., Domenech, E., Romagnoli, M., Arduini, A., Borras, C., Pallardo, F. V., … & Viña, J. (2008). Oral administration of vitamin C decreases muscle mitochondrial biogenesis and hampers training-induced adaptations in endurance performance. The American journal of clinical nutrition, 87(1), 142-149. Irrcher, I., Ljubicic, V., & Hood, D. A. (2009). Interactions between ROS and AMP kinase activity in the regulation of PGC-1α transcription in skeletal muscle cells. American Journal of Physiology-Cell Physiology, 296(1), C116-C123. Kukidome, D., Nishikawa, T., Sonoda, K., Imoto, K., Fujisawa, K., Yano, M., … & Araki, E. (2006). Activation of AMP-activated protein kinase reduces hyperglycemia-induced mitochondrial reactive oxygen species production and promotes mitochondrial biogenesis in human umbilical vein endothelial cells. Diabetes, 55(1), 120-127. Marshall, R. J., Scott, K. C., Hill, R. C., Lewis, D. D., Sundstrom, D., Jones, G. L., & Harper, J. (2002). Supplemental vitamin C appears to slow racing greyhounds. The Journal of nutrition, 132(6), 1616S-1621S. Medved, I., Brown, M. J., Bjorksten, A. R., & McKenna, M. J. (2004). Effects of intravenous N-acetylcysteine infusion on time to fatigue and potassium regulation during prolonged cycling exercise. Journal of Applied Physiology, 96(1), 211-217. Medved, I., Brown, M. J., Bjorksten, A. R., Murphy, K. T., Petersen, A. C., Sostaric, S., … & McKenna, M. J. (2004). N-acetylcysteine enhances muscle cysteine and glutathione availability and attenuates fatigue during prolonged exercise in endurance-trained individuals. Journal of Applied Physiology, 97(4), 1477-1485. Nielsen, A. N., Mizuno, M., Ratkevicius, A., Mohr, T., Rohde, M., Mortensen, S. A., & Quistorff, B. (1999). No effect of antioxidant supplementation in triathletes on maximal oxygen uptake, 31P-NMRS detected muscle energy metabolism and muscle fatigue. International journal of sports medicine, 20(03), 154-158. Petersen, A. C., McKenna, M. J., Medved, I., Murphy, K. T., Brown, M. J., Della Gatta, P., & Cameron‐Smith, D. (2012). Infusion with the antioxidant N‐acetylcysteine attenuates early adaptive responses to exercise in human skeletal muscle. Acta physiologica, 204(3), 382-392. Thompson, J., Manore, M., & Vaughan, L. (2014). The science of nutrition. Pearson education, inc.
antioxidants, cycling, longevity, supplements, training, vitamin c, vitamins. Bookmark.